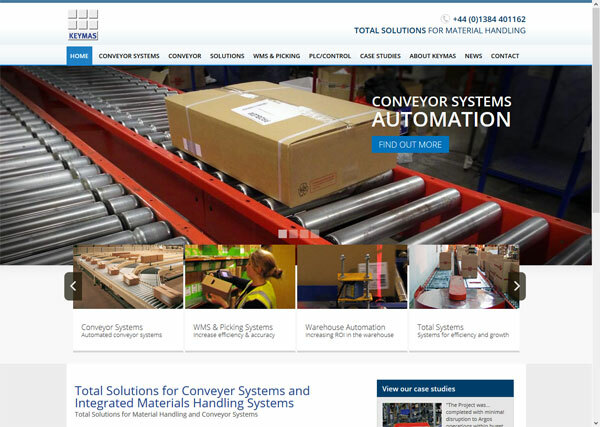 The new design’s aim was to give a great first impression of the company and show off the work that Keymas do in the conveyor, software and warehouse systems. The website can be edited by the staff at Keymas, meaning that the content can be kept updated fast without having to send it out to be done. This easy to manage CMS helps Keymas to focus on being able to write new content and keep the website updated with new ideas and content relating to new services that are offered. The website has been well received and gaining more traffic and enquiries as a result. The website is also linked to the CRM system so that leads are put through to the system when an enquiry is filled out. 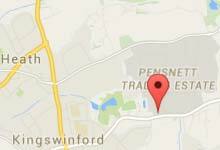 This enables a fast response from the sales team and that no enquiries are lost along the way and can be tracked. If you are interested in a new website design, then speak to us today and see what we can do. DK Fulfilment are a company that aim to offer a premium fulfilment service to companies looking to have their pick, pack and despatch run by one company. The fulfilment of the orders are done by DK Fulfilment’s logistics operations. CJB Interactive are working with DK Fulfilment to promote the company and building an online social and SEO strategy to increase the companies enquiries from online sources and increase sales of the services that the business offers. View the DK Fulfilment website here to see what the company does and more information about the company. Working with the team at DK Fulfilment a plan was produced to work on both a social content strategy and online promotion strategy to build up both the exposure and also the interest in what the company has to offer. The plan focus’s on the different aspects of the business both UK and European distribution services that are offered to customers. Focusing on SEO with Google rankings being a primary focus. Keywords were identified and tested out with the best search phrases being implemented into the plan. This means that only keywords that are valuable to the business are included in the long term SEO work. Use of blogging and Twitter to gain more exposure to potential customers searching for content relevant to ways to improve their business. By writing relevant content and publicising it on social media, the company is positioning itself as a thought leader, gaining in reputation and ways to offer value to potential customers. This increases interaction and leads to building a relationship with the audience ready to move to the next stage of the sales process. Other services that were used are website design and development, mini website projects and graphic design. For more information about CJB Interactive’s services and ways that we can help your business grow it’s sales from online sources, please contact us and we would be happy to discuss your requirements. The team here at CJB Interactive has been so busy over the last few weeks, working on numerous projects, including a brand new web design for Token Promotions. The highly functional, bespoke website was built using the content management system WordPress. Token Promotions provide their clients with high quality promotional products at competitive prices. What better way to spread the word about your business, than having bespoke marketing products made? Their best-selling marketing materials include trolley tokens, key rings, pens and coasters. What’s great about Token Promotion’s promotional product range is that all of the items are extremely practical. Whenever one of your customers picks up your personalised pen or inserts your token into a supermarket trolley, they will instantly be reminded of your business. Token Promotions can create custom made merchandise for any marketing and fundraising campaigns. Our aim was to create a web design that not only generated off-site leads, but provided users with an enjoyable browsing experience. We concentrated on building straight forward navigation and clean page layouts so that users could access the information they required with ease and speed. As well as focusing on functionality, we also made sure that we branded the site, keeping it consistent with Token Promotion’s recognisable colour scheme. From looking at the new site design, you will see that social media plugins have been added for easy sharing. Feel free to give them a follow! We chose WordPress as the content management system for the Token Promotions website as it is extremely user-friendly, whilst still being highly functional and customisable. WordPress makes it easy for users to add, edit and remove content as and when they wish to, without having to rely on their web designers for help. Our team of SEO specialists has also been working closely with Token Promotions to improve their websites SEO. Using on-site and off-site white hat SEO techniques, the team is aiming to enhance the company’s visibility online and help them achieve higher rankings on relevant search engine results pages. View the Token Promotions website. Recently the web design team at CJB Interactive have been working on a number of projects including a brand new ecommerce website for Packaging 365. The website was built using the industry leading ecommerce platform Magento. 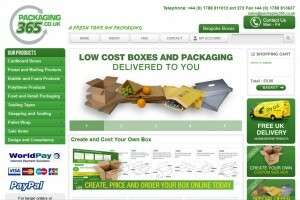 Packaging 365 are part of DK Group Packaging. They design, manufacture and supply packaging both locally and nationally for businesses across all industries. Can’t find the packaging you’re looking for? 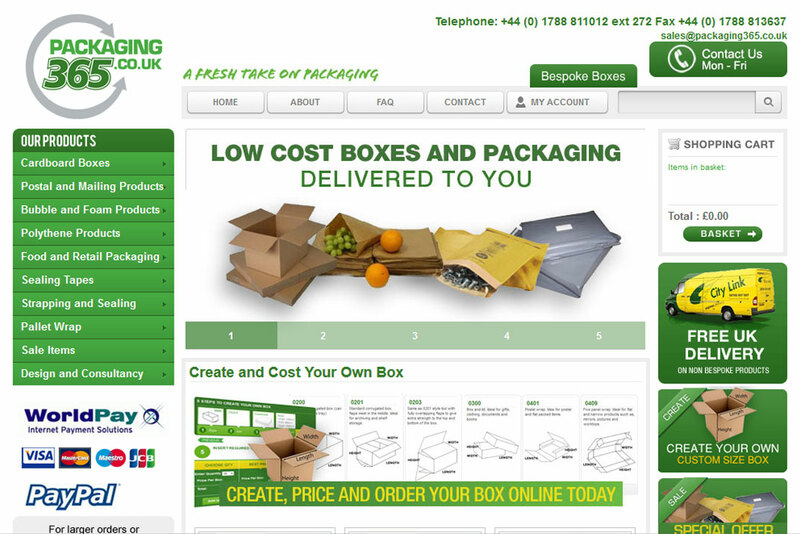 Simply use their fantastic ‘build your own box’ tool (built by us) to create your own bespoke packaging solution. When it came to deciding on the perfect ecommerce platform for Packaging 365, the decision was easy. Magento is one of the best ecommerce platforms in the world after all! The open source platform provides users with an efficient admin panel, making it easy for them to manage their orders and keep on top of things like invoicing and billing. The fact that it is open source is also beneficial as it means it is constantly being updated and improved by the Magento Developer community. As well as being highly functional, Magento is also extremely customisable and compatible with a wide range of extensions, known as modules. Using Magento we were able to create an easy and efficient checkout process for Packaging 365’s customers to use. If we had to pick our favourite part of the Packaging 365 website, it would have to be the ‘Build your own box’ tool which we briefly touched on earlier. This tool enables customers to select different styles of packaging, along with joint types, materials and sizes. Basically they can create their perfect packaging solution with a few simple clicks of the mouse. Once they have finished selecting their requirements, the form will calculate the total cost before allowing them to send in their request. This on-site step-by-step tool is much more efficient and time-saving for customers to use and saves them from having to email or phone the company directly. We are pleased to announce the launch of Signature Sean Horler’s brand new website which was designed and developed by our talented team here at CJB Interactive. The stylish and highly functional website was built using the content management system WordPress. 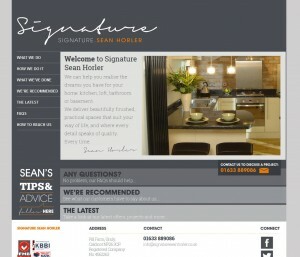 Signature Sean Horler is a home improvement company that sets out to turn your living space into your dream home. The highly qualified team use only the finest resources to transform your home’s dull and awkward spaces into practical and aesthetically pleasing rooms. The web design team here at CJB Interactive gave the website a fresh new look that reflects the quality products and services offered by Signature Sean Horler in its design. We think it is important that websites not only help to create sales and interest, but also represent the values that a company stands for. Not only does the website look fantastic, but it is also packed with brand new features including share buttons. These are located at the bottom of each page and are there to encourage users to share the website on their social media pages and via email. We know just how important the navigational elements of a website are in its overall success, which is why we spent time creating a simple, user-friendly navigational bar. This is located on the left hand side of the website and allows users to access the information they need in as little time as possible. 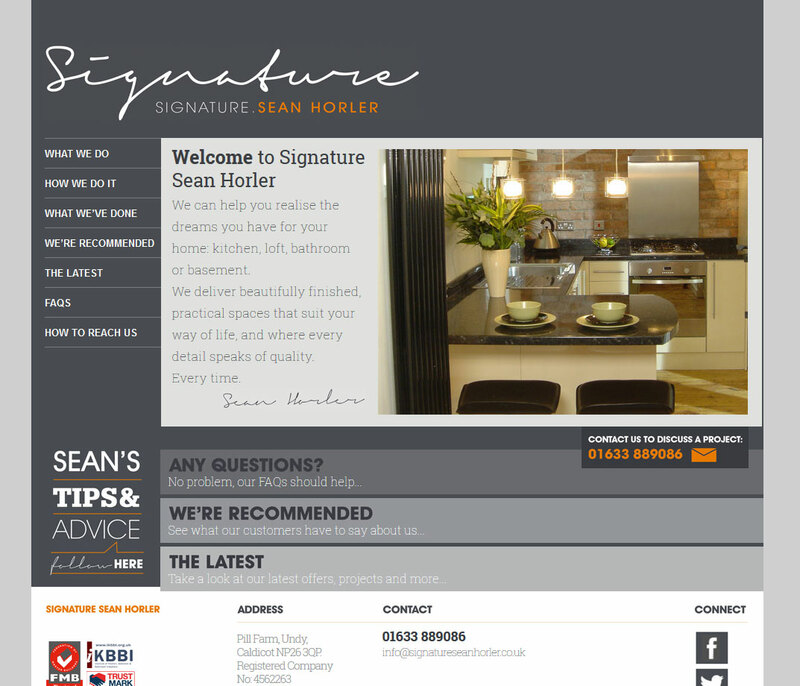 Signature Sean Horler’s website was built using the content management system WordPress. We chose this content management system as it is extremely user-friendly, meaning that the team at Signature Sean Horler will be able to update their content, without needing expert help. WordPress allows users to easily update their content using its straight forward dashboard. It is the perfect content management system as it is not only user-friendly, but is highly functional with great SEO benefits. We are not the only ones pleased with the finished product, the team at Signature Sean Horler are also extremely happy, emailing us to say ‘Thanks again for your work on our website – we love it!’ Their website launch party was held last week and was deemed a great success with the team and their customers raising money for Macmillan Cancer Support. We have put live a K-Store WMS video for a company that builds warehouse software systems. The video features a technique known as kinetic typography. This has helped make a video that has information to say, say it in an easy to understand and friendly way but keeping it professional in it’s approach. The video has had a lot of views and reached over 6000 in a few weeks, which in the industry is impressive. The feedback from the video has proved really good and has lead to enquiries for the system and gained interest for the company. Our animation and video service is now growing as the internet now can bring more dynamic experiences and we work work with clients to bring video showcases for them to gain new customers. The music in the video helped to give an impression of professionalism and also simplicity. We picked it out to show off the simple but competent approach that the software company takes with their products. Also we spent time working with the company on the style and content of the video before we went into production of the video so that it had the message that K-Store wanted to put out to potential customers. Kinetic typography is an approach that allows words to be shown in a more exciting way than just bringing up the actual text. The animation helps the viewer of the video to be able to watch and read the text that is shown in a vibrant and interesting way. We also used some info graphics to show that the K-Store WMS has the analytical edge to give the required reporting.